Welcome to Let’s Write! The program will guide graduate students through the process of writing, revising, and submitting a journal article or dissertation chapter. Publication is the goal of the program. Participants will begin the program with a rough draft of a future article, such as a conference paper, a seminar paper, a Master’s thesis, or a dissertation chapter. 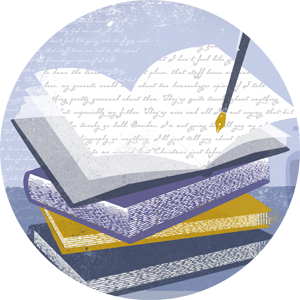 In semimonthly sessions, participants will exchange writing, read each other’s work, and offer feedback. Modeled after Graduate School programs at Stanford University, Cornell University, and the University of Pennsylvania, Let’s Write! is cultivating a community of writers and future faculty who gain structure, inspiration, and motivation from working toward common goals. In the program’s first year, over twenty graduate students participated in a mix of workshops on writing habits and strategies and intensive writing boot camps.